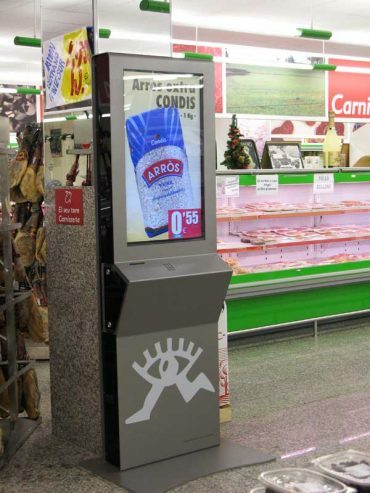 The supermarket industry was one of the first to recognize the potential of digital signage and adopt the technology. 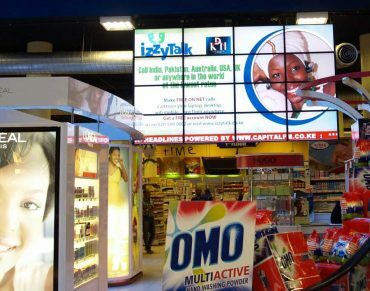 The importance of communicating media content through digital displays specially in specific areas of a store like point-of-sale, have contributed to a boost in sales, as well as improving the customers overall shopping experience. Promotions and special deals can be brought up to customer’s attention in an animated fashion in the whole store or in special aisles. Targeted advertisements increase impulse buying and improve sales of high-margin products. Overall digital signage will reduce the cost of printing material for in-store signage. New campaigns can be created and deployed remotely in a matter of minutes. Shops can generate additional revenue from ad sales. In-store exposure can solidify an existing national campaign. Supermarkets are one of the best suited places to communicate messages to a local audience. Program timely promotions and offer customers brand suggestions. Create eye-catching animated content to attract customers interest. Offer interactive real-time suggestive sales at point of sale. . Provide customers with interactive complementary suggestions.